Ever wished you could drive away with that shiny, brand-new car from the showroom? Before you hand over your hard-earned savings for a glossy, new ride, remember that a new car loses some of its value the moment you drive it off from the lot. No matter how stylish, shiny, or awesome your new ride is, it will lose some of its value the moment you buy it from the dealer. Unfortunately, car depreciation is unavoidable. A lot of factors affect this, which include the colour of the car, popularity of the model, and the reputation of the manufacturer. Because of all the money you’re bound to lose because of depreciation, it’s better if you get yourself a late model car. A two- or three-year old car may not be as shiny as a new one, but this means the previous owner has taken most of the hit caused by depreciation. To make sure you get the best deal for your budget, here are tips on how to find the best late model car and save money in the process. 1. Shop around The Internet makes it easier for us to shop around and look for the best bargain deals. In just a few clicks, you should be able to compare upfront rates and repayment terms without leaving the comforts of your home. It’s also easier to do your homework and see which manufacturers and vehicle models are likely to have higher resale value because lots of information are available online. 2. 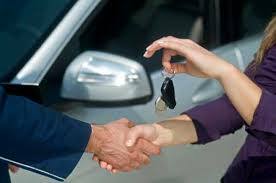 Look for drive-away deals A drive-away deal usually involves a low upfront payment and affordable repayment terms that already include registration and insurance. So this means you only shell out say, $990 for the upfront payment, and you don’t need to bother yourself with the paperwork required for registering and insuring your vehicle. 3. Choose one with a neutral colour Vehicles in neutral or mainstream hues such as black or silver will retain much of its value better than those in exotic colours because they tend to be more popular in the future. This makes sense because the only person who would likely buy a flashy, orange car with a customised paint job is the same owner who had the paint job done in the first place. Neutral doesn’t have to be boring, but classic shades such as black and silver have that classic look that many people always look for. So if you want to make the most of your car’s resale value, stick to a car with a classic or neutral paint job. 4. 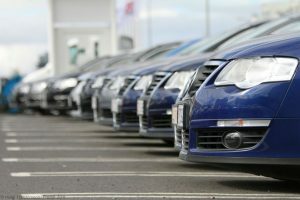 Stick to popular and reliable brands The more popular a car model is, the more buyers it will have in the future, making it highly resaleable. A lot of factors affect a model’s popularity, but the list usually includes durability, user-friendly features, and design. Some owners who want to amp up their rides’ resale value upgrade the basic features by adding aftermarket stereo systems and more modern lighting accessories. A car manufacturer known for its reliability and durable products is more likely to churn out vehicles that have better resale values. This goes hand-in-hand with the model’s popularity. The more reliable the manufacturer is, the more popular a car model is. If you want your car to not lose so much of its resale value over the years, go for brands that are time-tested. By choosing any of these models, you’re sure to get a reliable, maintenance-friendly vehicle that can be easily resold in case you want to get rid of it after a few years. Fortunately, many car financing companies such as Alpha Finance offer drive-away deals that lets you save money and find a car that you really want. For more information on how we can help you find a late model car and save, give us a call or send us your details online.